From showing the stop-motion animation process to sharing student sketches, the Point 2 View has been an ideal tool. As part of a nationwide commitment to expand and enhance learning options in the classroom and prepare teachers for the next generation of education technology, IPEVO, a designer and maker of technology products, has partnered with Tricia Fuglestad, the NAEA 2012 Illinois Art Teacher of the Year, for a unique art education initiative. 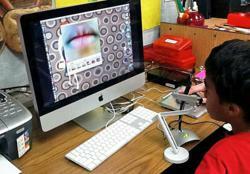 This initiative incorporates IPEVO's Point 2 View USB Camera into a variety of existing art class curriculums. The Point 2 View USB Document Camera, manufactured by IPEVO and available through IPEVO's online store at http://www.ipevo.com, is designed as a multifunctional, budget-conscious educational tool for capturing real-time video of printed text and images as well as three-dimensional objects. At only $69, the Point 2 View is a low-cost alternative to conventional document cameras costing many hundreds or thousands more. The camera's 2-Megapixel lens features a macro mode for capturing very fine details from as little as 5cm (2 inches) away from the subject. Included with the Point 2 View camera is a multi-jointed stand allowing the camera to be positioned at any height, angle and orientation to suit its subject. In combination with a computer and projector, the Point 2 View presents documents, textbooks, handwritten exercises, math formulas, artwork, and other materials for classroom instruction. Tricia Fuglestad is a K-5 Visual Art Teacher at Dryden Elementary School in Arlington Heights, IL. 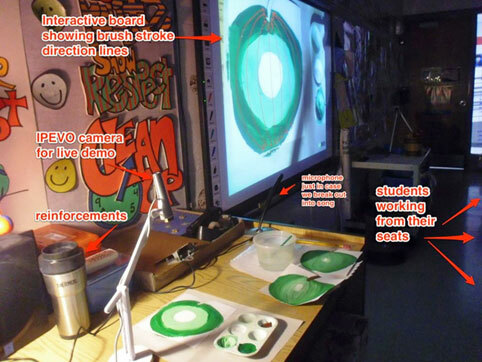 With a reputation for successfully employing cutting-edge technology in the classroom, Fuglestad used the Point 2 View Camera as a central teaching accessory for a series of art projects. Going beyond the document presentation usually associated with the Point 2 View, Fuglestad enhanced her art curriculum in several key areas. Projects accomplished during the initiative include stop-motion animation, augmented reality demonstrations, iPad e-learning sessions, multimedia compositions using recorded video, in-class student presentations, and fine art technique instruction. "The Point 2 View has amazing clarity and great weight balance," explained Fuglestad. "From showing the stop-motion animation process to sharing student sketches, the Point 2 View has been an ideal tool. Instead of calling all the students out of their seats to stand over me as I demonstrate, I use the camera to now make art along with them. It has freed up my teaching options and made communicating with students easier and quicker. And at only $69, the Point 2 View is an extremely affordable teaching tool that can make a world of difference for students." Fuglestad features her students' artwork — much of which was taught or created with the Point 2 View camera — at the Dryden Elementary art website at http://drydenart.weebly.com. 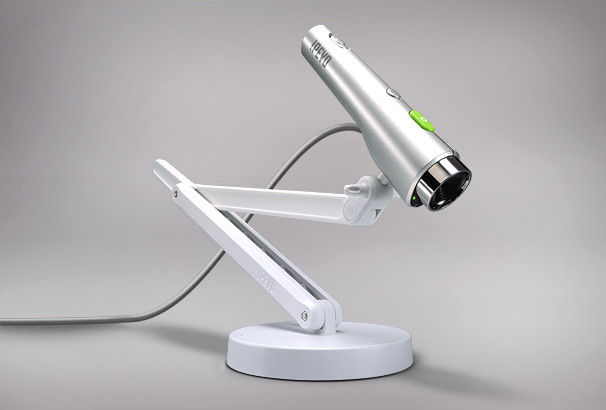 The Point 2 View USB Document Camera is available for purchase directly through the IPEVO Online Store at http://www.ipevo.com/p2v. This website also features user stories, hints and tips, and tutorials.